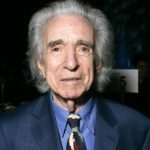 Arthur Hiller was a Canadian-American television and film director, having directed over 33 films during his 50-year career. He began his career directing television in Canada and later in the U.S.
By the late 1950’s he began directing films, most often comedies. He also directed dramas and romantic subjects, such as Love Story (1970), which was nominated for seven Oscars. "So I decided to move that scene in the doctor’s office to two-thirds into the movie, after the viewers had come to know Ryan and Ali and share in their happiness." "We’d be working in our motel room through the night, and I’d come up with an idea at two in the morning, and he’d start jumping up and down, pacing across the room, or whatever."